Mack & Co Coats: Just in Time for Back to School! Fall is in the air and it’s time to start planning for back to school shopping! This autumn, dress up your little fashionista with gorgeous outerwear that’s fresh from Mack & Co.’s fall 2012 girls coats collection. Part of the eclectic, fashion-forward Stella and Stevie label, these timeless designs spice up her look with a modern twist that looks smart for any occasion. Best of all, Mack & Co coats are lightweight yet cozy, making them the perfect choice for those crisp, clear fall days that start out cool and transition into sunshine. Mack & Co is known for its ultra-feminine designs and emphasis on fun prints, rich colors and careful detailing, from ruffles to rosettes. Right now, we’re featuring an exclusive collection of Mack & Co girls coats that are sure to fly off the shelves. We’ve got a limited number available, so be sure to place your pre-order now before your girl’s size is gone! For a sophisticated look that pairs perfectly with dresses or skirts, Mack & Co’s grey fleece beauty features rosettes, ruffles and buttons set apart with light pink detailing. It’s no secret that little girls love pink – make her fall special with a fleece coat in a stunning, yet soft, shade of pink. She’ll fall for this cute coat’s rosettes, ruffled drape hem and matching headband. A matching headband complements the look. Bring out her wild side this fall with the Mack & Co Beautiful Snow Leopard Coat. This lightweight fleece coat is packed full of precious detailing, from rich pink rosettes and buttons to the matching headband and ruffled accents along the bottom. jewel-like green, this stunning concoction features a cascade of ruffles topped by bright pink rosettes. All topped off by a matching aubergine hat, this girls’ coat stands out in any crowd. In a cerulean shade that’ll complement any look, the Blue Chic Collar Coat and matching hat are a must for any girl’s fall wardrobe. After all, faux fur was hot on the runways this year and this cute coat incorporates this fresh trend perfectly. With soft, cuddly blue fleece, lightly ruffled edges, and a snuggly faux fur collar, contrasting rosettes in deep pink really make this lightweight coat pop! Perfect for a holiday party or special event, Mack & Co’s Black and Ivory Elegant Coat comes complete with an adorable matching headband with an ivory rosette attached. With a sophisticated cream collar crafted from grosgrain ribbons and accented with stunning pearl detailing, this classy coat will dress up any occasion, while black fleece keeps your little one snuggly and warm. As parents, we will go to lengths to get the best out of everything for our kids. It doesn’t matter if its toys, food or clothing, a parent would always get the best to give to their children. When it comes to clothing, parents would always choose the best brands to make their kids look good wherever they are. Designer labels nowadays are very easy to find. There are stores in malls which are near you and of course, utilizing the internet for online shopping. While there are some benefits to buying clothes in stores near you, some of these usually have knock-offs that are being passed off as originals in some stores. In order to be sure about the designer kids clothes that you are buying for your children, going online is a reasonable choice. Of course, you have to be careful about websites for designer labels. 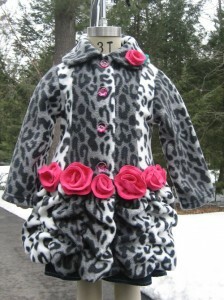 If you are looking for designer clothes for your children, try going to www.littlefashionsboutique.com. They have a huge collection of designer girls clothes guaranteed to make your child look beautiful in every sense of the word. You can be sure that their products are of the best quality which is what your child deserves. If you are a working parent, then sometimes, it takes a lot of time and effort to go to shopping malls just to buy your child a beautiful designer party dress. Online clothes shopping is a very good option for looking at clothes to buy for your child. 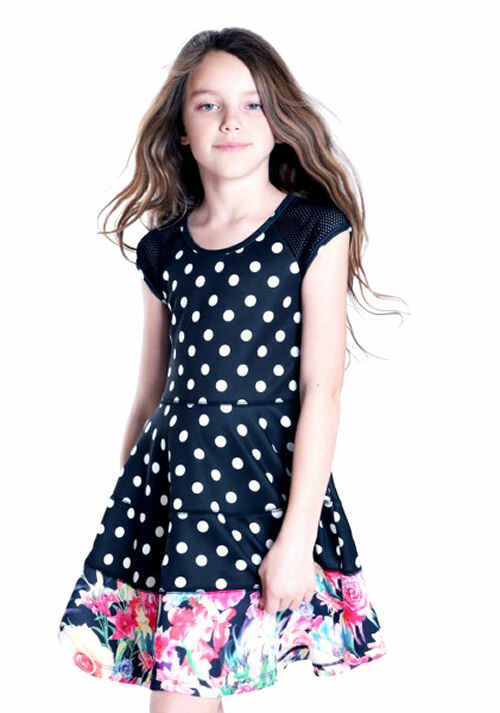 What www.littlefashionboutique.com offers you is the chance to choose from a wide range of clothing from special occasion girls dresses, tween clothing, infant girl clothing & dresses, toddler girl clothing & dresses, everything for little girls- size 4 to 6X, tween girls dresses, winter coats, girls swimwear, casual outfits for girls, boys clothing, unique and extraordinary girls shoes and accessories. It’s hassle free because you only have to click for the clothes of your choosing. You can be sure that they have a very good customer service. Quality will always be ensured for you and your child. Of course, when you are shopping online, you have to make sure that you are buying designer clothing from a very reputable online store. 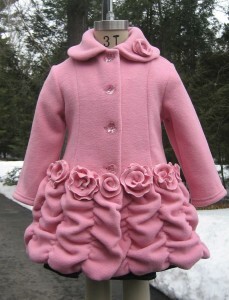 In www.littlefashionboutique.com, you can be sure that you will get the quality that your child deserves. Dresses are made by very creative US and European designers. When you are shopping online, there are many advantages. First of all, it will be very convenient for you because you just have to sit in front of your computer and click on the dresses of your choice. Second, you don’t have to go to shopping malls and pay for gasoline, toll fees, maybe your fare. It is a very practical option when you are going shopping. 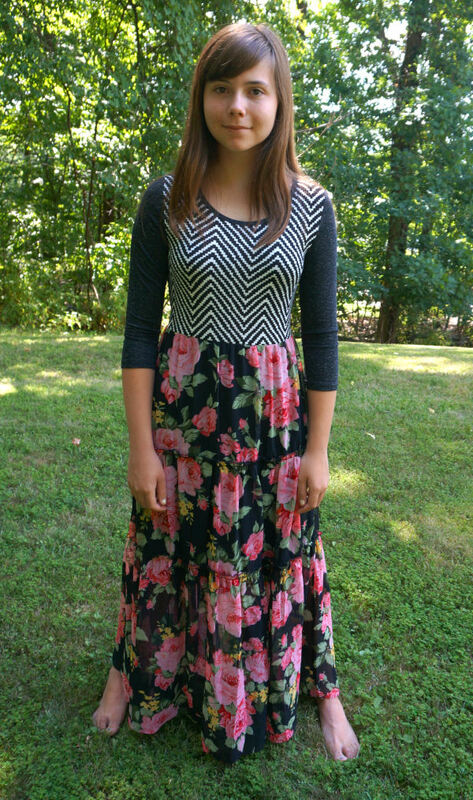 If you’re looking for discounts, www.littlefashionbotique.com offers seasonal discounts on certain items. You will have the luxury of getting more by paying less. You can give your child the best quality clothing while paying less. That will give you a significant amount of savings. Every parent wants that. Read the home page of the website to know what kind of discounts they are offering right now. You can also join their mailing list to receive weekly emails with current discounts and promotions. your child the best clothing that he or she deserves. Shop now at www.littlefashionbotique.com and see for yourself.